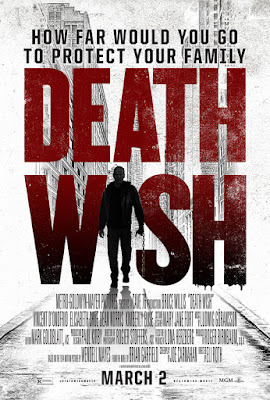 A UK trailer has been released for Death Wish. 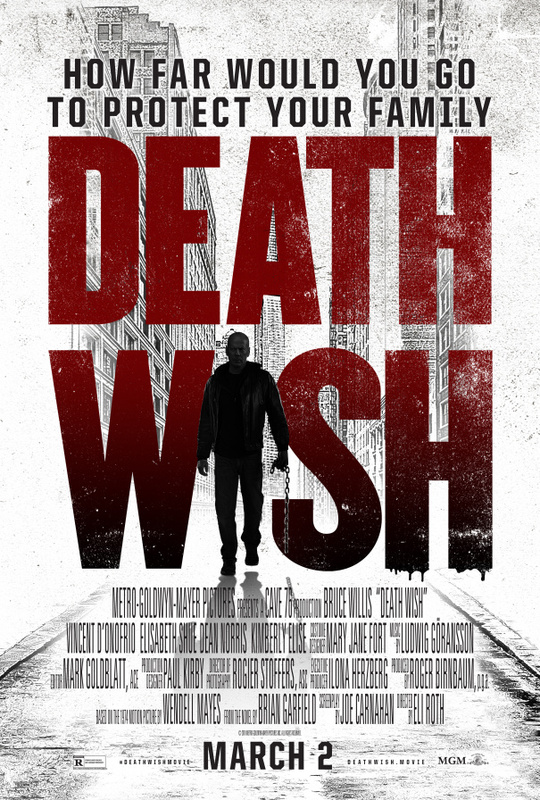 The film is a remake of the 1974 film that starred Charles Bronson as a New York architect turned vigilante after his wife is murdered and his daughter is sexually assaulted. The remake was written by Eli Roth, Dean Georgaris and Joe Carnahan, directed by Roth (Hostel, Cabin Fever, Green Inferno), and stars Bruce Willis, Elizabeth Shue, Vincent D'Onofrio, and Camila Morrone. It will be released on November 22, 2017. Check out the synopsis and trailer below.